Book a holiday or short break to remember in some of the most exciting destinations in Europe and beyond without breaking the bank. Choose from some of the best destinations in Europe, the Meditteranean or beyond tailored to your exact personal requirements. 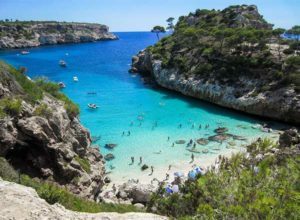 Popular holiday destinations include the Algarve, Costa Blanca, Costa Brava, Costa del Sol, Italian Lakes, Madeira, Majorca, Malta, Orlando and Tenerife. Whether your are looking for a cheap last minute break staying in a budget apartment or splashing out on a luxury hotel for that special occasion you will be spoilt for choice. Remember, you can tailor these holidays to your exact requirements and budget. Searches are carried out in real-time to display current up to date availability and departure times for flights which match your holiday search criteria. Prices displayed alongside each flight are your total package price if you opt for the lowest cost accommodation with availabilty. Having selected your flights you will be able to choose from an extensive range of hotels and apartments which have availability for your travel dates. Property details, photographs, maps, TripAdvisor ratings and reviews are provided to help you find your perfect hotel or apartment.